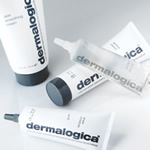 We are often asked by our customers which Dermalogica Moisturiser is designed to be used as a night time moisturiser. We thought it very important to explain how and when they should be used. Dermalogica do not manufacture Night Creams as such. Each of their moisturisers are designed to be used twice daily after your Dermalogica Cleanser, the only important consideration being using the correct moisturiser for your skin and it’s needs. Never the less we realise that some customers prefer a richer moisturiser at night than they do in the morning. This can be achieved in a number of ways. Dermalogica’s Concentrated Boosters, also known as serums, are a great addition to your moisturiser and can be used twice daily before your moisturiser as a targeted treatment, or combined with your moisturiser for an all over increased effect. Dermalogica Multivitamin Power Concentrate is a great way of targeting specific areas of the face with a predefined dose of antioxidant vitamins. It can be used under your moisturiser or instead of it in the an evening.